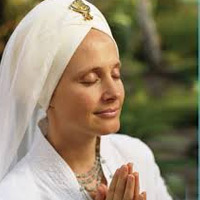 Teachers: Pritpal Singh and Snatam Kaur. The words of the 10th Sikh Guru, Guru Gobind Singh have a power and energy that lifts the soul and bestows a clarity of vision and action. “Jai tegun” communicates this strength through the very sounds of the words, the Naad. By using the metaphor of the “sword” Guru Gobind Singh shows us that by walking on a path of Dharma we “cut” through all the attachments and illusion of this human experience. It is Dharma itself that is the sword – the fine edge of discernment; the steel that gives strength; the divine Grace that becomes our protection. We will chant and meditate with this mantra to invoke our highest victory. 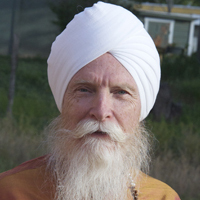 Pritpal Singh will teach this class with the assistance of Snatam Kaur.